At the Emerging Writers Festival in June, acclaimed Goori novelist Melissa Lucashenko was asked to reflect on what she had learnt throughout her career. She responded: I wish I had known that in becoming a Black writer I was engaged in the ongoing work of not only decolonising Australian writing, but just as importantly, in decolonising my own mind. In the early 2000s I attended high school in the northern suburbs of Brisbane. The source of confusion in my teenage years was the painful pushback from my educational environment against the most special and sacred parts of me. In our education there was also a wounding disconnect from our local context of South East Queensland. We weren’t taught to fully appreciate or understand where we were living. Where was Oodgeroo Noonuccal, whose Country, Minjerribah, North Stradbroke Island, was only a stone’s throw away from where I grew up, and her influence, which was widespread and substantial, in our learning? Indeed, where was any First Nations perspective, local or otherwise? I felt isolated until I found those voices in print, at my university library. In the years since reading Oodgeroo for the first time, I continue to be inspired by her work and legacy as a leader, writer, thinker, activist, conservationist, artist and educator. I find sometimes, in unexpected moments, her lines swim in my head like the waves in the bay. Oodgeroo’s poem ‘The Past’ is a reminder that for Aboriginal people, remembering the past and connecting to a cultural sense of time can give us great strength as we navigate rigid Australia that refuses to acknowledge us as people. The past is all about us and within. The poem is deep and contemplative as the author’s past and present draw close together. The poet feels a layered connection in the land and in their body. ‘The Past’ appears in Oodgeroo’s second collection The Dawn Is at Hand first published in 1964. For the last few years, like Lucashenko, I have been contemplating what decolonisation means to me. To decolonise my own mind, I decentre and derail the settler-invader perspective and understand the truth of Country. Our cultural and meaning-making replaces the draining capitalist and exploitative markings on our ancestors’ land. Oodgeroo Noonuccal began writing in a time before citizenship, the vote, fair wages, native title and educational opportunities for First Nations people. Her activism helped to ensure all of the above have standing now. She was born in 1920 on Minjerribah, and attended Dunwich Primary School until she was thirteen; opportunity for further study for Indigenous students at that time were extremely limited, and she entered the domestic service. She left during the Second World War where she served in the Australian Women’s Army Service. From the 1960s Civil Rights movement she was active on a local and national level. A persuasive and powerful political figure, her art was an extension of her activism. She worked in the forms of memoir, short story, painting, drama and film but is most celebrated as a poet. Jacaranda Press published her first book We Are Going in 1964 to overwhelming critical and commercial success, selling out many editions, and it became one of Australia’s best-selling collections of all time. Follow-up poetry collections also sold extraordinarily well. At the approach of the bicentennial in 1988, there was anger and sadness for many Indigenous Australians. Two hundred years had passed and still no treaty or constitutional recognition, and the celebrations of European arrival were hollowing and insulting. So Noonuccal returned the MBE she had been awarded in 1970 to Queen Elizabeth II in protest. Additionally she changed her name from Kath Walker to the traditional name in her language, ‘Noonuccal’ being her people (note there are different spellings in usage, Noonuckle, Nunukul, Nunuccal, as spellings are derived from an oral language) and adopting ‘Oodgeroo’ which means ‘paperbark’, as her first name. In 1984 Oodgeroo Noonuccal was a part of a group of Australian writers who toured China. No stranger to overseas travel, she had been on previous occasions to Fiji, Malaysia, Papua New Guinea and Nigeria. Arriving in Shanghai, she hadn’t written poetry for a long time. Friend and historian, Manning Clark, writes in his foreword to Kath Walker in China (1988) about seeing a ‘twinkle in her eye’, as she wrote prolifically during the visit; she was deeply inspired. These poems became the first collection written by an Indigenous Australian to be co-published by Australian and Chinese publishing houses and presented in Chinese and English. Poems such as ‘China…Woman’, ‘Reed Flute Cave’, ‘Entombed Warriors’, ‘Visit to Sun Yat-Sen Memorial Hall’, ‘Sunrise on Huampu River’ and ‘A Lake Within a Lake’ all appear in Kath Walker in China. The publisher’s synopsis of Kath Walker in China describes the book as a collection of poems in English with translations into Putonghua (modern standard Chinese) on Chinese and Australian themes, as well as Noonuccal traditional stories, also translated. ‘Sunrise on Huampu River’ has a date and place inscription: Shanghai, September 23, 1984, which indicates the author wished to flag that this poem was very much an embodiment of a particular moment, personal, quick, original. Oodgeroo describes in detail the busy river scene as told through her eyes. Transport boats ‘link together/like a string of beads’ and overseas liners are ‘proud and aloof’. In December 2015, some thirty years on from the publication of ‘Sunrise on Huampu River’, I published Wiradjuri woman Jeanine Leane’s poem ‘Sunrise-Sunset in Yangshou’ in an issue of Peril Magazine, bringing together Asian writers, Indigenous Australian writers and writers who identified with both heritages together, called ‘Like Black on Rice’, which I co-edited with Eleanor Jackson. Leane’s poem shares many similarities with Noonuccal’s, and serves both as a tribute to Oodgeroo and a connector between two generations of Indigenous poets travelling to China. Though the two rivers mentioned in the poems are on opposite ends of the country, the pull to water sources is the same. In both poems the descriptions of life and daily habits are invigorated by images, the moving sun, light and the symbolism of gold. Like Leane, in her other China poems, Noonuccal demonstrates herself as a sophisticated cultural visitor, one who understands history and story as a person of an oppressed race living within a dominant settler invader society. Oodgeroo is a gifted storyteller, and one who has an eye and ear for the most interesting detail and meaning in the currency of poetic language. In ‘China…Woman’, Noonuccal describes the beautiful, striking and unfamiliar landscape in relation to and with the familiarity of her culture, home and belonging. Stand out against the skyline. Oodgeroo’s creator, the Rainbow Serpent, is close with her as she feels the pull of home. 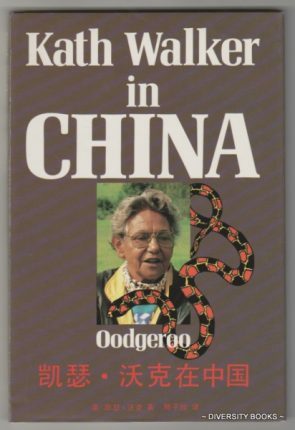 Oodgeroo Noonuccal’s literary ties with China foreshadowed the connections other Indigenous Australian writers such as Leane have today. Leane’s first poetry collection Dark Secrets: After Dreaming (AD) 1887-1961 has been translated into the Yi language (China) as well as into Punjabi and Kannada. He came with enough strength to endure a perilous journey of enormous hardship, possibly walking hundreds of kilometres in the extreme heat of Northern Australia, to eventually live in the traditional country of my Waanyi great-grandmother. If he had to choose a home in Australia, he chose well. He came to live in a place of solitude and water, almost a microcosm of the Guangdong Province, nestled in the arid landscape of the Gulf of Carpentaria. He lived in his new landscape locked in a haven that was protected by spring-fed rivers with permanent running waters – a secluded paradise where he would work hard by using Chinese knowledge and inspiration, irrigating the land with canals to grow vegetables and horses. He raised a family surrounded by water, and was culturally united with and protected by our ancestors. It is also important to mention that pre-European arrival, links with Asia through trade connected various northern Australian Indigenous communities to China. Wright’s translator of Carpentaria is Professor Li Yao, a well-known translator of Australian books into the Chinese market. In her Guardian article which marked the 10th anniversary of the publication of Carpentaria, Wright wrote of her pride in how her writing has been welcomed into China and the power of this connection. The translation of literature is an incredible thing because it helps to break down the barriers of language and distance, and creates communication, instead of silence. I saw this when I was introduced to writers from Inner Mongolia when I went to China in 2008. They were able to read the Chinese translation of the first chapters of the book and began making comparisons with the similarities and values of their own people, and with the geographical features and the grasslands of the Gulf of Carpentaria. In 1972 Oodgeroo returned to live at home in North Stradbroke Island, establishing a place called Moongalba, which means sitting down place. She wanted to respond to the island’s environmental threats and her concerns that Indigenous knowledge was going ignored. At Moongalba she ran educational holiday camps for children. It is estimated during the course of the centre’s lifetime, she taught more than 25,000 students. ‘It’s the children who are going to change this world for the better, not the adults,’ she said in From As the Twig is Bent: the childhood recollections of sixteen prominent Australians (1979) edited by Terry Lane. When the children come to Moongalba I teach them the same way as I teach my own grandkids. I teach them how to pick up shellfish and where to look for them. I teach them how to fish and how to crab. I teach them what’s good to eat in the bush and what isn’t, and I teach them how to cook food under the ground. We talk about the cultures of all the different races and, having travelled all over the world, I’ve picked up a bit of art from each of the countries and taken them home and the kids can sit there and communicate through touch with these artifacts. Although Aunty Oodgeroo Noonuccal may no longer be with us to teach future generations, Moongalba is her work and in her writings. Her beautiful Country holds new generations of black artists and activists, just as well as it remembers the many generations of ancestors seeped in its sand and water. Her books are being read by new readers in English, Chinese and additional languages around the world. There is a timelessness to her work that belongs to her strength in decolonising time and place. In 2017 Sachem Parkin-Owens, an eighteen-year-old of Noonuccal and African-American heritage living on Minjerribah, was a co-winner in the second Oodgeroo Noonuccal Poetry Prize for Indigenous writers administrated by the Queensland Poetry Festival and set up with family consultation. His moving poem ‘My Ancestors’ is bilingual. Cochrane, K. (1994). Oodgeroo. Brisbane: University of Queensland Press. Ellen van Neerven is a Yugambeh writer from south-east Queensland. She is the author of the poetry volume Comfort Food and the fiction collection Heat and Light, which won numerous awards.